WindRose Hotel: Egypt: Another Iran In The Making? Egypt: Another Iran In The Making? Now that Mubarak has stepped down, what will happen in Egypt? That’s the question we all are asking ourselves. More precisely: What will the new Egyptian government look like? And what will be the role of the Muslim Brotherhood? Needless to say, as many international observers—including the Italian doyen of political scientists, Giovanni Sartori—have pointed out, the risk now is that a second Iran might be born. 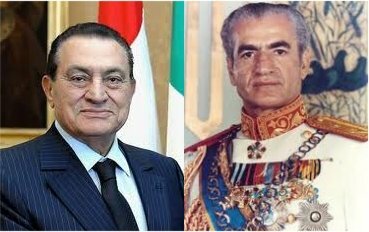 Like the Shah Reza Pahlavi before him, Mubarak has been a loyal ally of the West. Also on the list of likenesses between the two stories is that the Shah, besides being the first Muslim leader to recognize the State of Israel, went down in history for countless clashes with radical Islamists, and Mubarak, in turn, banned the Muslim Brotherhood (which presents itself as the moderate face of Islam but supports Hamas in Palestine) and strengthened relations with Israel. We know how things went in Iran. they would favor making each of the following the law in their countries: stoning people who commit adultery, whippings and cutting off of hands for crimes like theft and robbery and the death penalty for those who leave the Muslim religion. Muslim publics overwhelmingly welcome Islamic influence over their countries’ politics. In Egypt, Pakistan and Jordan, majorities of Muslims who say Islam is playing a large role in politics see this as a good thing, while majorities of those who say Islam is playing only a small role say this is bad for their country. Yet, when asked for their views about democracy, majorities in most of the Muslim communities surveyed say that democracy is preferable to any other kind of government… Maybe this means that—whatever President Obama may think about the Egypt crisis—we should start asking ourselves to what extent their way to think of democracy is compatible with ours. In the meantime, I can’t help recalling what an Egyptian student had to say about this whole matter, a story very different from what most of us have been seeing on television or reading in our papers. However, and in any event, let's keep our fingers crossed and hope for the best, no matter what our personal beliefs (or disbeliefs) may be. Could this be a case of 'humble minds, (rather than appearing pretentious) think alike Rob? Although it's hardly likely that we're alone in being preoccupied by how things are will develop- one way or the other- in Egypt and elsewhere.. I have no optimism about Egypt. I suspect with an overwhelming majority of the population agreeing with the enforcement of Sharia Law, and the Muslim Brotherhood the only organized political entity, it's only a matter of a brief time until Egypt becomes an Islamic State. Here, Obama has made it clear he's following the Middle East foreign policy of Jimmy Carter, which is being anti Israel, anti Semite, pro Hamas and Hezbollah. Note that Obama, when the people took to the streets, immediately called for Mubarak's resignation, but given the same situation in Iran, did not ask for Ahmadinejad to step down. The clear reason is Obama, the Democrat Party and the Left in general support Islamofascism. With European quasi support of Sharia Law and Islam, and the blatant support of the Leftist leadership of the US, I see nothing that convinces me there will be a Jeffersonian democracy in Egypt. The Egyptian Army may work to avert this, but I doubt it. The Muslim Brotherhood, formed in 1928 to force Sharia Law and Islam into a global government and to kill Jews, has called (within a couple days from the start of the protests) for the closing of the Suez Canal, the opening of the border with Gaza to send Hamas and the PLO arms, and for the Egyptian Army to invade Israel. I saw a Jurassic Press reporter in "Old Cairo", a seriously Muslim section of the city, and he was able to find a someone to say he would like a secular gov't, and the "reporter" then went on that the Muslim Brotherhood ain't so bad. Our chief of national intelligence, James Clapper, said the Muslim Brotherhood is a secular organization that helps the poor and downtrodden had renounced violence. This is waaaaaaay bad. I pray I'm wrong.